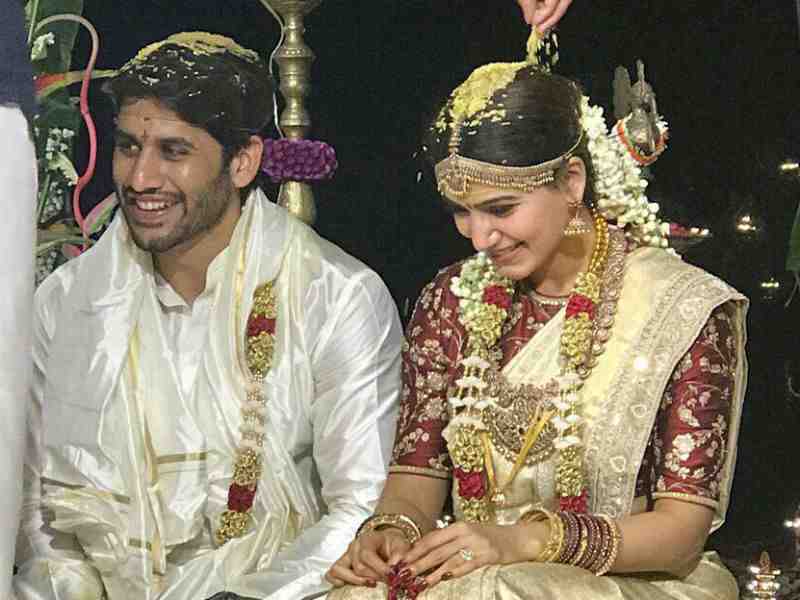 Telugu cinema’s famous actors Akkineni Naga Chaitanya and Samantha Ruth Prabhu tied the knot in Goa. In a private wedding, few close relatives and friends graced the occasion and blessed the gorgeous couple. 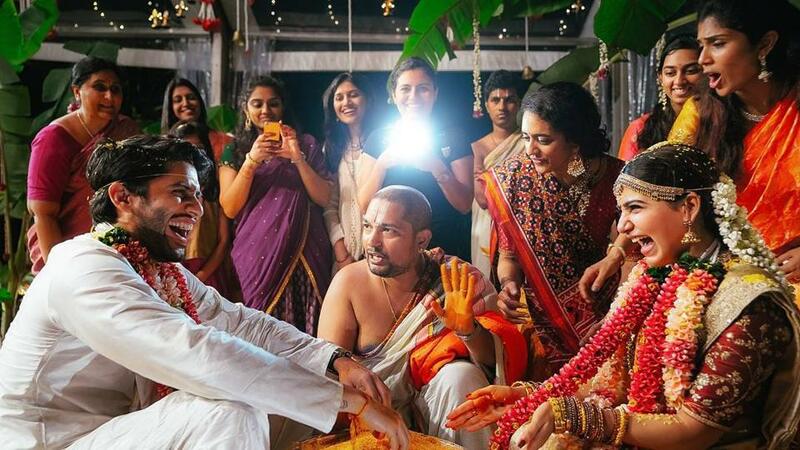 Wedding took place according to South Indian customs. 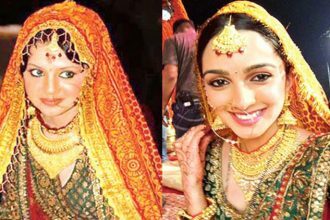 Bride looked stunning in South-costume and South- jewellery. Long Temple jewellery Hara, Big traditional jhumkas, maang tikka and glittering gold bangles complimented her silk Saree.